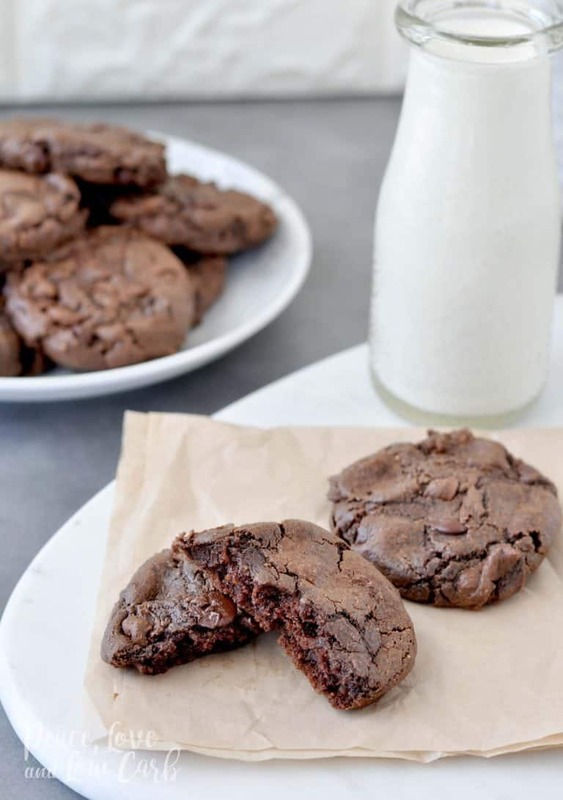 You’ve started the keto diet and you’re craving gooey, yummy chocolate chip cookies. 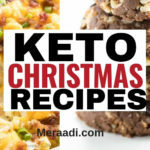 You need to find some keto chocolate chip cookies that are safe for the ketogenic diet. Whether you’re looking for a delicious keto snack for yourself or for your entire family, these cookies will come in handy. 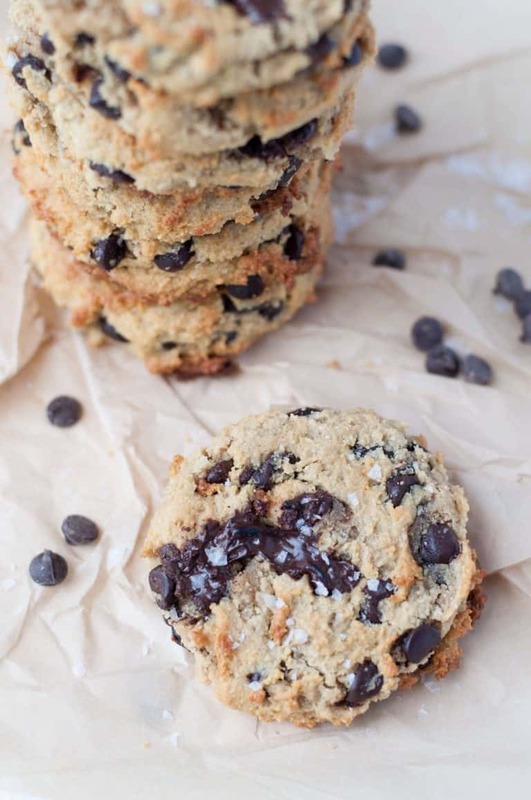 If you want to make something easy with either monkfruit, coconut flour or almond flour, there is something on the massive list of cookie recipes for you. 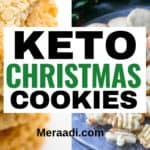 This huge list of delicious keto cookies is going to help you manage your sweet craving while you remain in ketosis and enjoy your fat loss. The best types of chocolate chips cookies are the ones that are super soft and easy to make. Here are a few ideas you can make that today. 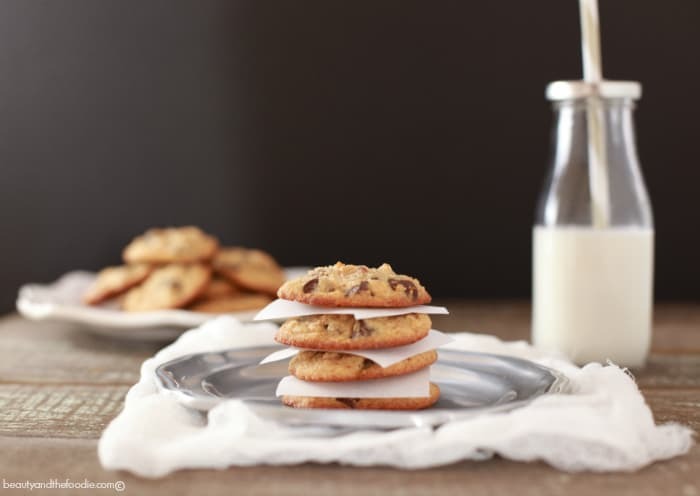 Some cookies are just too good to pass up and these keto cookies are one of them., These low carb cookies are made with on 9 easy to find ingredients and can be ready to eat in under 30 minutes1 The best part, these chocolate chip cookies only contain 1.4 grams of net carbs per cookie! These are sure to become one of your all-time favorites! 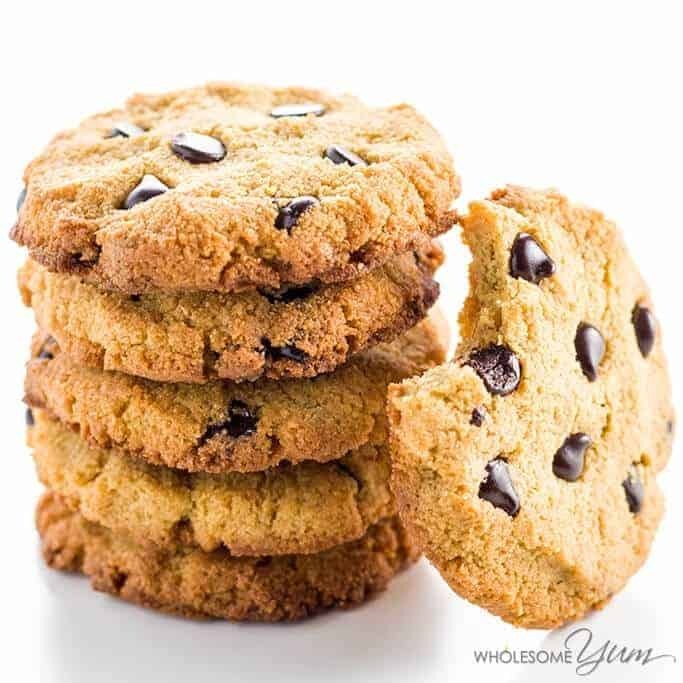 These cookies are made with 7 ingredients including almond flour and make some of the best sugar-free chocolate chip cookies you’ve ever tried on the keto diet. These cookies will take only 22 minutes to be ready, are easy to make and each contains only 4 grams of net carbs. This is the perfect low carb snack your and the kids. These Keto Salted Caramel Chocolate Chip Cookies are rich, chewy and so delicious you’ll think they were regular chocolate chip cookies. Each cookie contains 1.4 grams of net carbs and can be made in less than 30 minutes. Did I mention these are very easy to make? 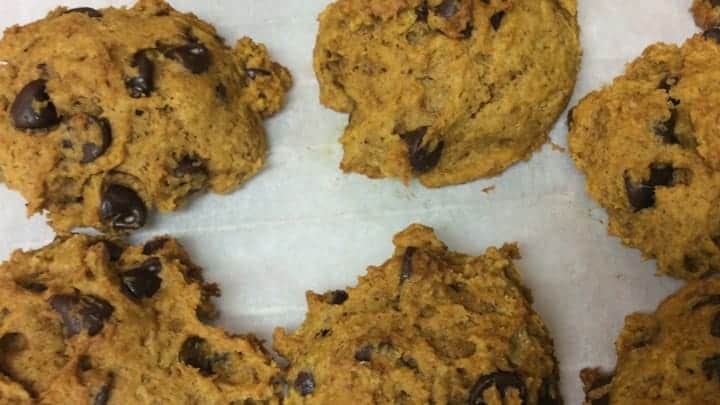 These keto pumpkin chocolate chip cookies are soft and chewy and taste like heaven. 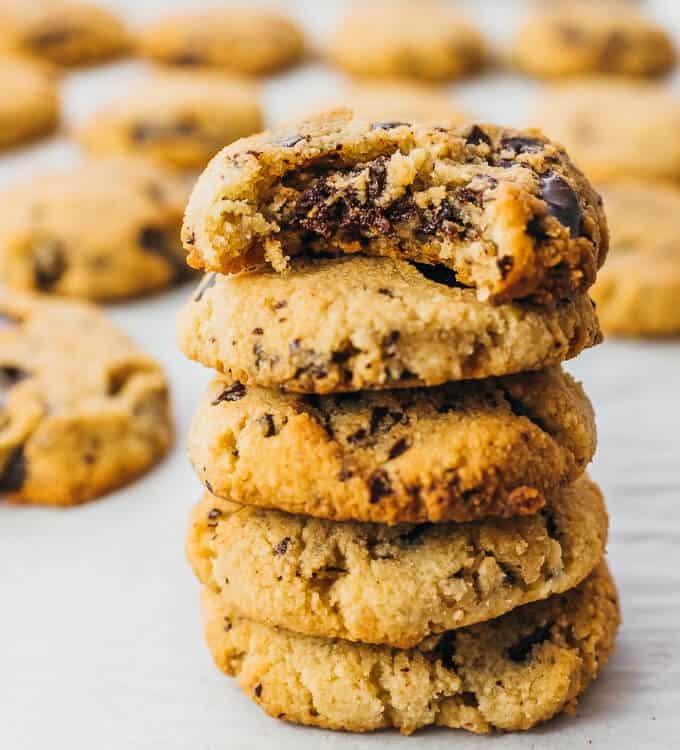 If you’re looking for a simple chocolate chip cookie recipe to make when you’re feeling for a sweet keto snack, this one is it. Can you even believe that these cookies are keto friendly? Made with almond flour and lots of chocolate, these low carb, sugar-free cookies are to die for. They’re chewy and soft, with a slightly springy texture and make the perfect healthy keto snack to satisfy your sweet cravings. Best of all, they won’t crumble in your hands and each cookie contains 1.5 grams of net carbs. 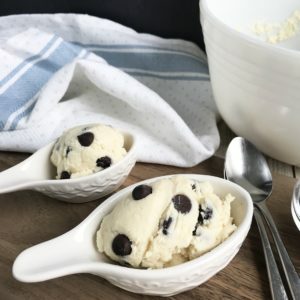 This delicious Chocolate Chip Cookie Dough is keto approved and will become a staple in your home. Plus, they’re easy and quick to make and make the perfect sweet treat for you to enjoy throughout the week. Looking for an amazing recipe for low carb chocolate chip cookies? You’ve found it right here! These cookies should become another staple in your home and they’re only 2 net carbs per cookie. Finding more low carb cookies means more fun for you! No matter how much weight you want to lose, it’s never a bad choice to have a little fun every now and then on the keto diet. Indeed, being able to enjoy yourself on this diet and not feeling completely deprived is a good thing. It will help you to stay the course and make this a lifestyle change instead of a diet you embark on for a few months until you hit a certain goal. And isn’t that exactly what you want? If you answered yes, then you’re on the right path. You will really enjoy these chocolate chip cookies. 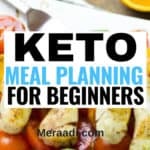 So, find a few staples master the recipes and make them some of your go-to homemade and healthy keto snacks while you lose weight, feel better and look great!